Smart sensors are used in precision agriculture to impart data that helps farmers monitor and optimize crops, and keep up with changing environmental factors. By positioning sensors, farmers can understand their crops at a micro scale, sustain resources, and reduce environmental impact. Smart agriculture goes back to the 1980s when GPS became accessible for civilian use. At that point, farmers were able to accurately map their fields, as well as monitor and apply fertilizer and weed treatments accurately to areas that needed it. 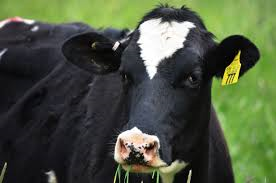 Attaching a sensor and tracking device to a cow will give a farmer the ability to track the cow’s activity level, health, and other key behaviors. A smart sensor will help with easy animal Identification, heat detection, and health monitoring to separate and treat sick cows, while locating and tracking the herd. A sensor will also help with early mastitis detection to lower risk of milk loss. Because of labor shortages and need to feed an increasing global population, agricultural robots are now commonly used by farmers. In just the U.S., crop production has decreased an estimated $3 billion a year due to labor shortages. At the same time, the world’s population is expected to grow to 2.3 billion people in the next 30 years. Vision and machine learning now allow robots to see and train using their surroundings, and because of the lower costs of smart sensors, they are being deployed more than ever. Yet, we are in the early stages of an agriculture robotics revolution with most of the smart devices in early trial phases and R&D mode. New smart sensing technology allows farmers to remotely monitor their fields’ pest population in real-time and take immediate action to protect their crops, utilizing online cloud services and a dashboard. A trap uses a pheromone lure to attract and capture a particular pest. Information on the pest is wirelessly sent back to a base station and the farmer’s smartphone or computer. The farmer is then able to view a satellite image of their field with counts of how many pests have been captured in each particular trap, along with details on historic trends and pesticide use. This automates the process of checking insect traps and takes the guess work out of determining where and how much pesticide to use in a field, eliminating $20 billion dollars’ worth of pest damage in the United States alone. Optical Sensors employ light to measure soil properties, measuring various frequencies of light reflectance in near-infrared, mid-infrared, and polarized light spectrums. These sensors can be placed on vehicles or drones which allows soil reflectance and plant color data to be gathered and processed. Clay, organic matter, and moisture content of the soil can be determined by optical sensors. Electrochemical Sensors mounted on special designed sleds help collect, process, and map soil chemical data. Electrochemical sensors provide the information needed for precision agriculture—soil nutrient levels and pH. Soil samples are sent to a soil-testing lab, and an array of standard laboratory procedures are carried out. Certain measurements, especially the determination of pH, are performed utilizing an ion-selective electrode. These electrodes sense the activity of specific ions, such as nitrate, potassium, or hydrogen. Mechanical sensors are used to assess soil compaction as related to the variable level of compaction. These sensors employ a mechanism that cuts through the soil and documents the force measured by strain gauges or load cells. When a sensor cuts through the soil, it records the resistance forces resulting from the cutting, breaking, and displacing of soil. Soil mechanical resistance is measured in a unit of pressure and represents the ratio of the force required to penetrate the soil medium to the frontal area of the tool engaged with the soil. Dielectric soil moisture sensors measure moisture levels utilizing the dielectric constant, which is an electrical property that changes, depending on the moisture content in the soil. The moisture sensors are used in conjunction with rain gauge stations throughout farm. This allows for the observation of soil moisture conditions when vegetation levels are low. 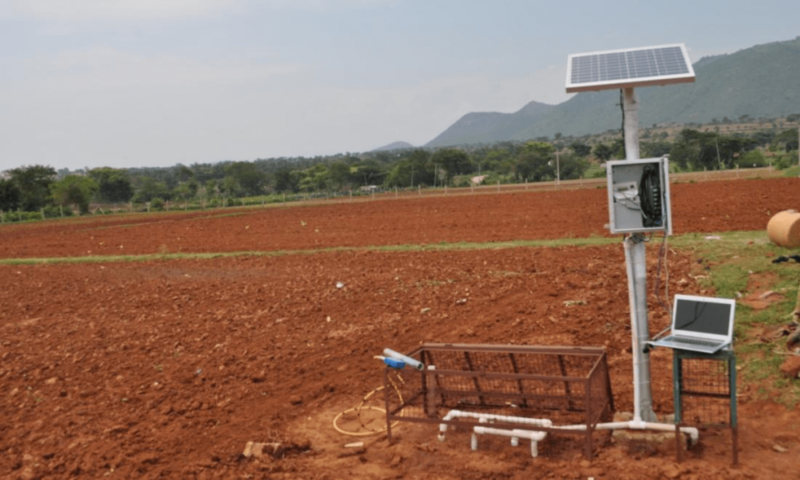 Agricultural weather stations are self-contained sensors that are located at different spots through the growing fields. These stations have a blend of sensors that are applicable for the local crop and climate. Information such as air temperature, soil temperature at various depths, rainfall, leaf wetness, chlorophyll, wind speed, dew point temperature, wind direction, relative humidity, solar radiation, and atmospheric pressure are determined and recorded at programmed intervals. This data is amassed and transmitted wirelessly to a central data logger at programmed intervals. Because they are portable and reasonably priced, weather stations are appealing for farms of all sizes. There could be a loss of time and production should a farm vehicle break down. 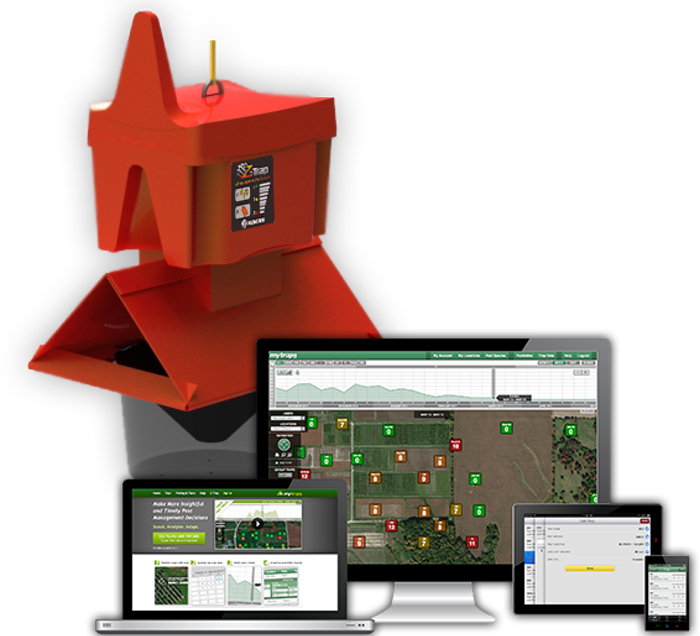 Farmers now have the ability to remotely gather and manage information from their field equipment. Equipment telematics lets mechanical devices such as tractors to notify mechanics that a failure is likely to happen soon. Most of the agricultural equipment companies are building telematics systems. Electronic sensors mounted on tractors and other field equipment check equipment operations. Then, cellular and satellite communication systems are used to transmit the data immediately to computers or e-mail it to individuals. The field supervisor can then retrieve the information on their office computer or cell phone. Airflow Sensors measure soil air permeability. Measurements can be made at singular locations or dynamically while on the go. The desired output is the pressure required to push a predetermined amount of air into the ground at a prescribed depth. Various types of soil properties, including compaction, structure, soil type, and moisture level, produce a unique identifying signature. Experiments have the potential for classifying various soil types, moisture levels, and soil structure/compaction. The use of smart sensors, software, and artificial intelligence will transform the agricultural industry. Combinational sensors and sensor fusion hardware will produce the required plant data to increase crop production and adopt disease-free high yield crop varieties to keep pace with the increasing demand for food. As used in commercial indoor growing, LED lighting technologies have been around less than ten years. LED lights are less understood than other types of grow lights, which have been studied for several decades.